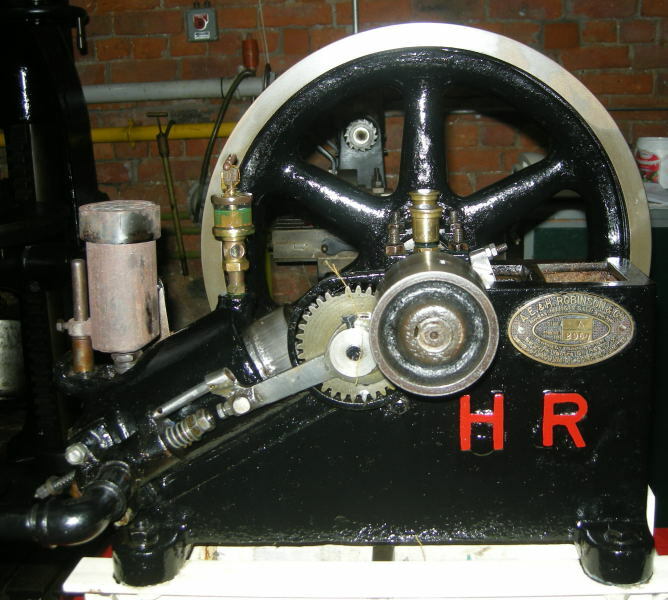 Robinson gas engine at Manchester's Museum of Science and Industry. 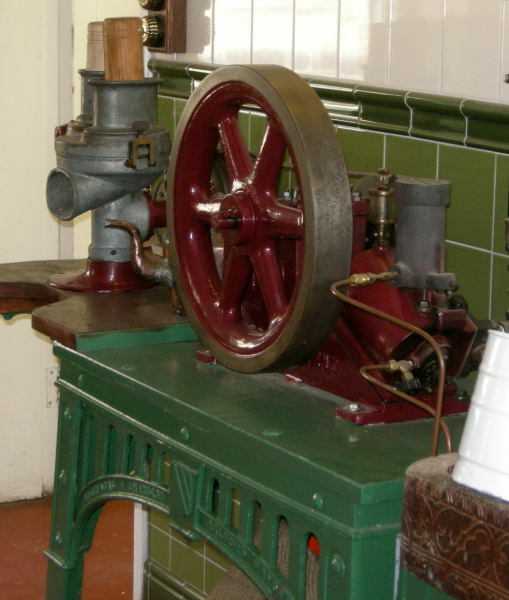 Robinson gas engine at Anson Engine Museum. 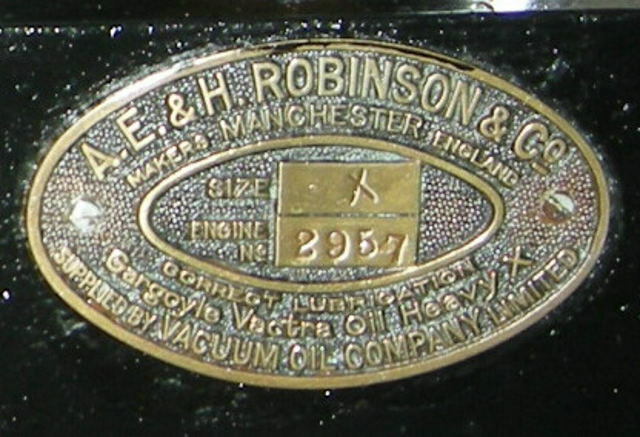 A E & H Robinson of 78 Great Bridgewater Street, Manchester; of Church Street, Beswick, Manchester. 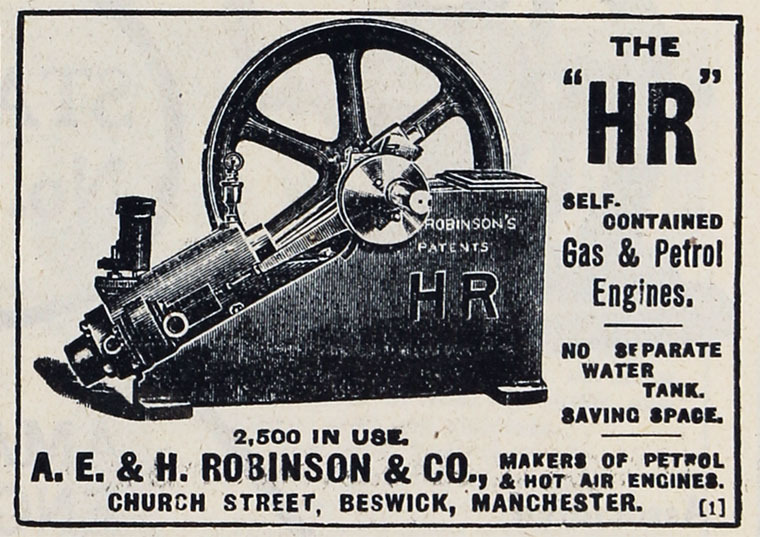 1891, On 21 November, the Illustrated Magazine of Practice and Theory described a patent hot air engine designed by A. E. and H. Robinson as a "useful and thoroughly good motor for driving small machinery". 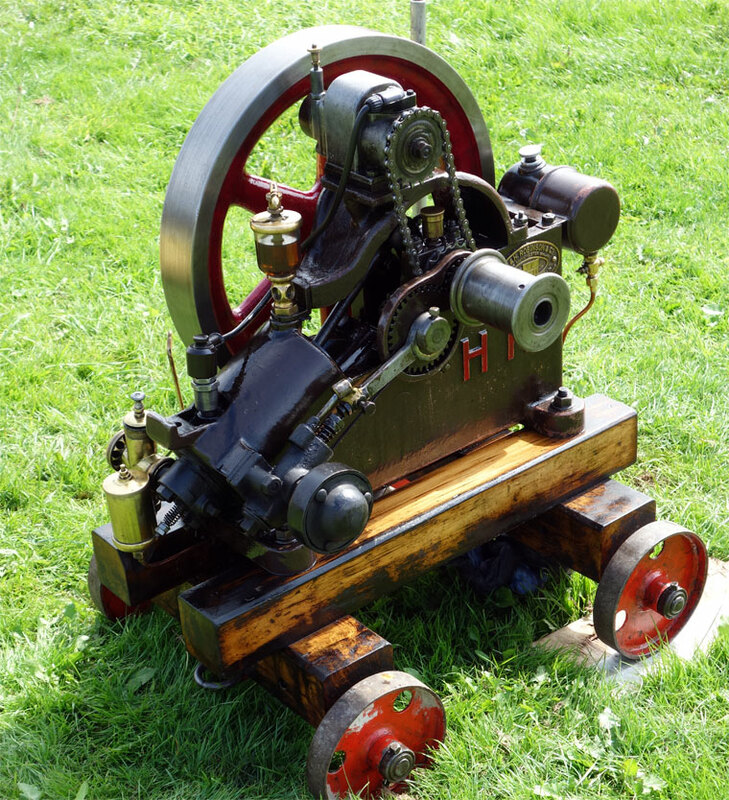 The engine weighed 12 cwt and had a bore and stroke both of 10 inches and developed 5/8 hp when running at 170rpm. 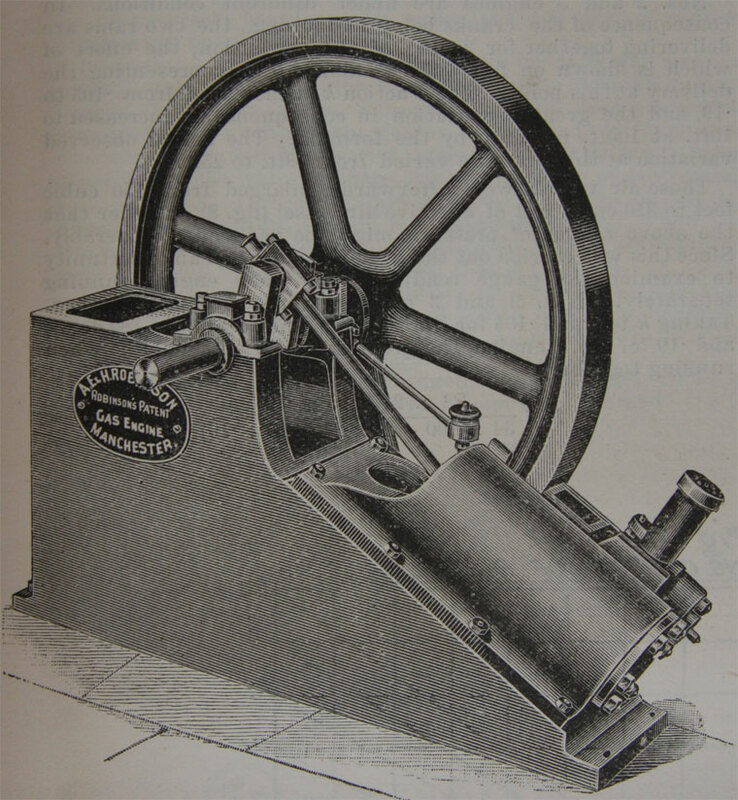 Heat was generated by burning coke in a fire box at the rate of 7 1/2 lb/hr which meant a thermal efficiency of between seven and ten percent. 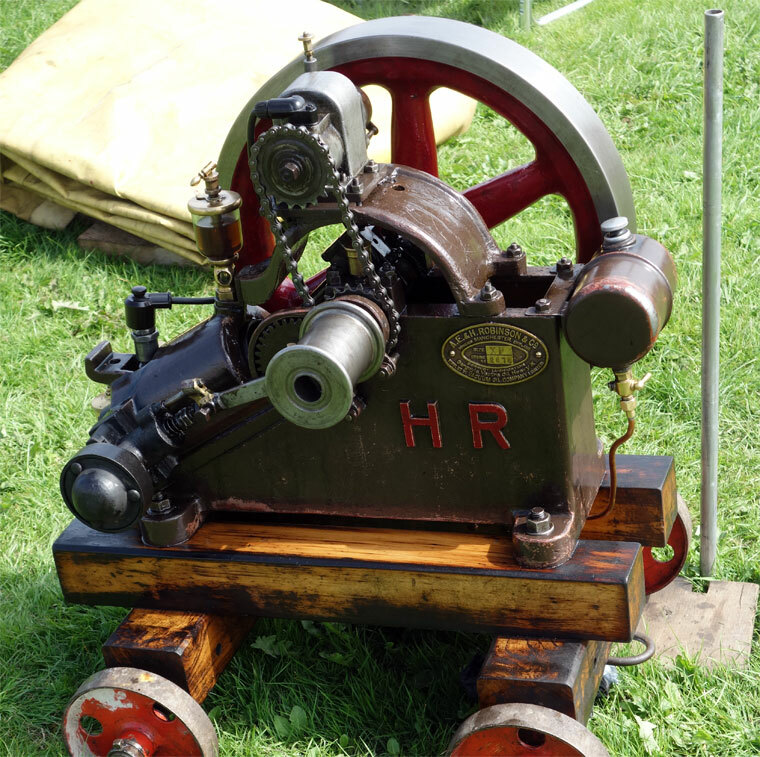 A pre-1900 example recovered recently from a farm in Horsham, Sussex had pumped water until damaged by frost in the severe winter of 1958. 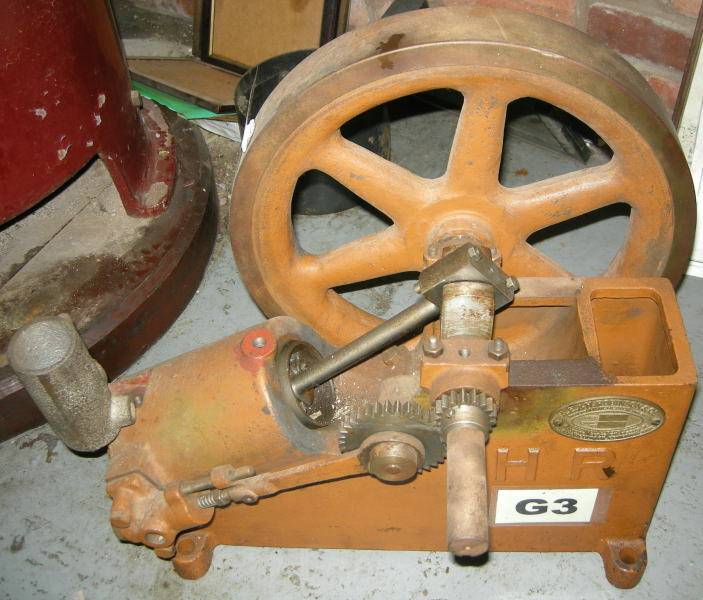 Gardners arranged to manufacture the Robinson type of engine. This page was last edited on 9 February 2018, at 11:20.